100 of the world’s greatest guitar players interviewed and profiled: an essential read for all fans of the electric guitar and its masters! The guitar heroes discuss their music, gear and playing techniques in enlightening interviews, while the profiles shed light on influences, career highlights and legacies. Be the first person to tell us what you think about Guitarist Presents - 100 Guitar Heroes and you'll save $5 on your next purchase! 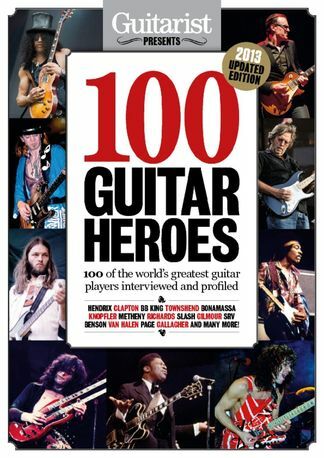 https://www.isubscribe.com.au/guitarist-presents-100-guitar-heroes-digital-subscription.cfm 37753 Guitarist Presents - 100 Guitar Heroes https://www.isubscribe.com.au/images/covers/au/5254/37753/square/GuitaristPresentsGuitarHeroes191610450.jpg AUD InStock /Digital/Music/Guitar 100 of the world’s greatest guitar players interviewed and profiled: an essential read for all fans of the electric guitar and its masters!